So for the past few months I’ve been working as the editorial assistant for a set of professors working on putting out a business manual with Routledge. This morning, the professor in charge of the project sent in the manuscript which means that, barring further complications with the project or him hiring me for another one, I no longer have a job. Somehow, I didn’t realize that you know… them finishing the manuscript would put my job on hold (or straight up get rid of it) for the foreseeable future. I have I think two more checks coming because of the way the pay period is set up, but that’s all the money I’ll have until the beginning of September at the absolute earliest outside of any freelance jobs or commissions I manage to get and finish. As I have been using the money from this job to help my family pay for rent on top of paying my own bills, this is kind of terrible. That being said, if you like any of my writing (and if you’re following me on any of my social media sites or my blog, I should hope you do) here are some ways that you can help me out. I have A PATREON PAGE that you can subscribe to at one of three different tiers in order to have access to audio posts, short fiction, and lots of stories that center queer characters of color. If flinging money at me isn’t your thing, you can also legit hire me to write or edit things for you. I have lots of experience with both writing and editing fiction and as long as you give me firm deadlines, I’ll make them. On top of that, my recent experience as an editorial assistant on a Routledge book gives me added experience in editing things like creative nonfiction and business manuals. If you’re someone running a website (or who knows someone that is) that needs content, I’m also available to write articles on pop culture, race, gender, and superheroes. If you know of a site that needs a Black feminist view on pop culture like the upcoming Luke Cage series and fandom (and is willing to pay on the regular), I’m your Stitch. If you want to hire me or find out my rates for writing fiction, writing articles, and editing anything here’s my blog’s CONTACT PAGE. You can find examples of my article writing style in posts like THIS and THIS and HERE’S an in-progress page with the fiction I’m posting on my main site (as the majority of my writing is on Patreon). I can also provide you with a copy of my CV if you’re really interested in hiring me for a long-term project or a serious position. 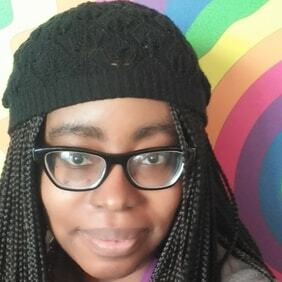 Please share this post with anyone y’all think might be even remotely interested in supporting me, a queer Black writer who looks critically at media, fandom, and feminism, as I struggle to keep doing what I’m good at while taking care of my family. This entry was posted in Stitch Offline and tagged money troubles, serious stuff, signal boost. Bookmark the permalink.